Ballers is an American 30 minute scripted sports television series, which kicked off on June 21, 2015, on HBO and is broadcast every Sunday at 22:00. The show is currently in its 4th season. HBO has officially confirmed the renewal of Ballers for Season 5. The exact release date is yet to be announced so far. Sign up to track it down. Looking at the lives of former and current football players, Ballers follows former superstar Spencer Strasmore as he gets his life on track in retirement while mentoring other current and former players through the daily grind of the business of football. 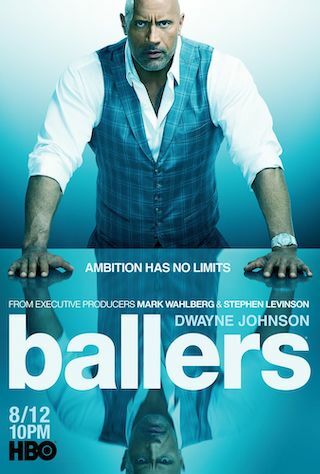 Exploring the glamorous and often cutthroat world of pro football through a group of past and present players striving to stay in the game, BALLERS stars Dwayne Johnson as ex-superstar Spencer Strasmore, who has reinvented himself as a financial manager for today's players.